When I finished this novel I realized two things: first, that I'd just read something outstanding and second, that (as it says on the dustjacket blurb), Peter Temple is a "master writer." This has to be one of the best and most beautifully-written crime fiction novels I've ever read, and I can't wait to get back to his next novel, Truth, which I've only just started and am already loving. Joe Cashin is a homicide detective who's recuperating from physical and emotional trauma in the small town of Port Monro on the south coast of Australia. Port Monro is not his normal beat; he's been posted there to put some distance between himself and the events that left another policeman dead and himself hospitalized. It's a perfect place for Joe; he spends a great deal of his time with his dogs, and to get his mind off of his recent troubles, he's rebuilding an old ruined house, as well as himself, with the help of a "swaggie" named Rebb. 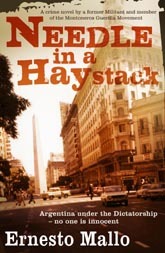 But his peace is shattered when he finds himself smack in the middle of an intriguing crime: one of the town's wealthiest citizens has been found dead and the police in charge of the investigation want very badly to pin the murder on three indigenous teens. Cashin is called to help with the case, but he's not convinced that the racially-prejudiced local police are correct in their assumptions. the "pocked junctions where one or two tilted houses stood against the wind and signs pointed to other desperate crossroads." The characters are also very well developed, especially Joe Cashin -- a broken and damaged, yet decent man trying to get it all back together, whose backstory and troubled past (including an unstable childhood) are unfolded little by little, interwoven with his present. He doesn't mind solitude, although perhaps not so completely as he would have you believe, and he's the consummate professional, yet willing to go with his intuition when the situation demands. This is an excellent book, and although I've focused mainly on the writing here, the story itself will also keep you turning pages until it's over. And then, I think, you'll be left wanting more. First, my thanks to LibraryThing's early reviewer program and to Morrow for my copy of this book. Don't do what I did and start this late at night -- you won't want to put it down. It's that good. 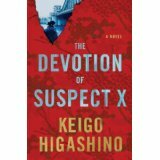 Although this book isn't really a whodunit, the tension begins to build very close to the beginning and doesn't let up. The 19th installment in Robinson's Alan Banks series, Bad Boy begins with the discovery of a gun. Julia Doyle contacts the police to report that she's found a gun in her daughter Erin's room, and that she was hoping to speak to Inspector Banks (a long-time friend of the Doyle family), but he's away on vacation in the US. His partner Annie Cabbot takes the case (gun laws are very strict in the UK) but things quickly spiral out of control and lead to a major disaster. Erin had just recently moved back home -- she had been living with Banks' daughter Tracy (who's now going by "Francesca") until things started heating up between Tracy and Jaff, Erin's boyfriend. Tracy, who's going through a rough patch in her relationship with her dad and in her life in general, decides to let Jaff know that the police are trying to find out where Erin got the gun. She finds herself even more attracted to Jaff, and offers to help him out by letting him stay in her Dad's cabin -- which turns out to be a really bad decision as the two become fugitives, first from Jaff's criminal connections and then the police. When Banks returns home, there is no time to waste -- he must find Jaff and Tracy in a hurry to prevent the worst from happening. I have to own up to only having read the first Inspector Banks novel, so I'm at kind of a disadvantage here as far as the development of the characters and of the series stories in general. So the big question for me is whether or not I think Bad Boy could work as a standalone novel, and I'd have to say yes. Personally, I prefer series books in the order they're written, but I think in this one, there's enough of a buzz-through kind of history offered by Robinson that overcomes the need for having read the previous 18. My only complaint: I figured some of the ending earlier so I wasn't too surprised, but hey, if that's the worst of it all, I can easily overlook it. 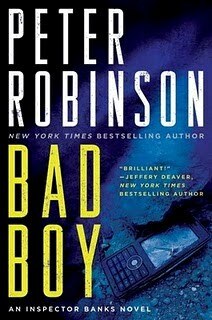 Overall, I thought Bad Boy was quite good -- a bit on the suspenseful side, with enough twists and turns along the way to keep the pages turning -- and I look forward to books 2-18 in the series. ... Professor Anna Haebich brings to life the people of Perth and the entangled mesh of self-righteous bigotry, slander and unbridled revenge they invoke to propel the trial of Martha Rendell - the last woman in the state to be hanged. Based on a true story and meticulously researched, this compelling novel is driven by passion, imagination and an eerie conjuring up of the past. This is just the sort of blurb that gets my nosy self's heart pumping. I first noticed this book in a copy of the New York Review of Books, and immediately I had to know who was Martha Rendell, why was she hanged, and all of the gruesome details, never having heard of this person before. 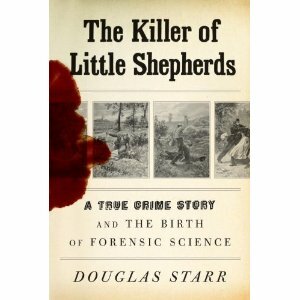 So I bought the book, thinking it was a new historical novel based on a real crime. After reading it, it's a tough call as to whether it's actually a novel or no. But I'll get back to this later. In 1909, a 14 year-old boy named George Morris ran away from his father William and his "stepmother" Martha Rendell (in reality the two were not actually married), back to the home of his mother. He had claimed that three of his siblings had died in their home in East Perth, and that he was worried he was next. Within the span of 18 months, all of the children had become ill, and after recovering, were being cared for by Rendell. One by one they began to develop strange symptoms, in particular a "peculiar membranous condition of the mouth and throat..." which the physician had never seen before. And then one by one, they died, except for George, who said that Rendell had pretended to pour out his brother's Arthur medicine, but then replaced it with "spirits of salts." This caused Arthur to scream in pain, and become deadly ill. As the children began to die, George left, seeking shelter with his mother. There was just enough doubt to cause authorities to dig up the children's bodies and charge both Rendell and Morris with murder. Haebich tries to reconstruct the case from four different points of view: a newspaper photographer who followed the trial, a detective whose hero and model was Conan Doyle's Sherlock Holmes, a physician, and a reverend, who ministered to Rendell within the prison walls. She provides a wealth of information about the period, including past poisoners, the power of the press, and the science of medicine and pathology of the time. In each person's narrative, the reader is left with some doubt as to whether or not Rendell was really guilty. If she was guilty, then perhaps there was some physical, psychological, social or emotional reasoning behind her crimes. realised early in the piece that a conventional historical narrative could not possibly convey the nuances of this complex and controversial case. Due to the many gaps in the records there were also many questions that could only answered via imaginative reconstructions of people and events. She then goes on to provide an analysis of what may have actually happened, and discusses her experiences with descendants of the Morrises. Although the approach she's taken plays out well, I don't think she needed to go that route. 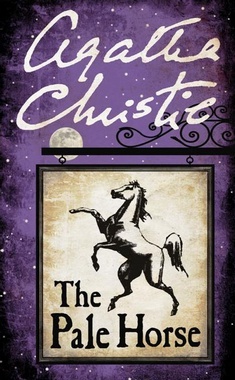 Within the different reconstructions, she provides a wealth of factual information related to the case that could have stood on its own put together in a singular historical retelling. 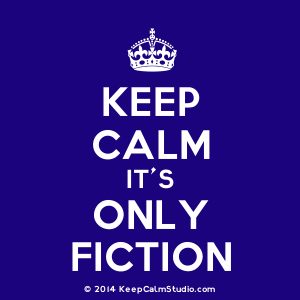 There's very little dialogue in the narratives, the voices are not as distinct as those of different characters should be in a novel, and you never really get the feeling that you're actually reading a novel in its true sense. 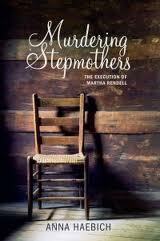 Now, having said that, Murdering Stepmothers is still a book that will keep you reading and involved. The case itself is interesting -- and you as the reader are left to put together all of the different sociological, psychological and physical threads to decide for yourself as to Rendell's guilt or innocence. Haebich's analysis of the available facts is very well done -- and the book is not just another over-sensationalized true crime account that crowds bookseller shelves. 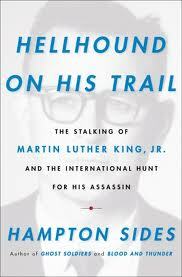 Overall -- it's a good book, with few distractions and a well-grounded sense of time and place. 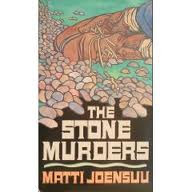 Set in Helsinki, The Stone Murders is the first in a series of three, followed by The Priest of Evil and To Steal Her Love. 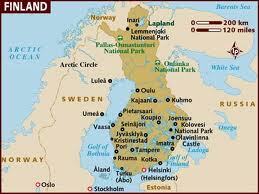 Timo Harjunpaa is a detective sergeant in homicide and he's seen his share of ugliness in the past. It's about to get uglier, as he's called out to investigate what seems to be another murder, but he finds the victim still alive yet barely clinging to life. The man has been brutally attacked -- while knocked out with a beer bottle, his assailant jumped on his chest, pounded his stomach area with a mass of heavy stones, and left him for dead. Harjunpaa gets to work on the case but has no idea what's waiting for him as he gets closer to the killer. The Stone Murders is not really a mystery, because the criminals are revealed right away to be young men from extremely dysfunctional families and backgrounds. It is more of a police procedural, but at the same time, Joensuu interweaves into the story a brief look at the problems of 1980s Helsinki: child abuse, alcoholism, prostitution, and teen gangs that have no respect for anyone (especially the police, who fear them), to name a few. There's also a look at the police force itself -- the ridiculous bureaucracy, the lack of officers to handle the ongoing crime problems, and the ineptitude of a few who are supposed to be in charge of others. Joensuu also offers a look into Harjunpaa's personal life, which as things get worse for this particular case, becomes his safe haven. Considering that this book is a series first, it's very well done. The characters each have a separate identity without going into overly-detailed descriptions. And every now and then Joensuu fleetingly allows the tough-guy façade of the criminals to fall away, replaced by the young and immature children that they are. Harjunpaa is a good cop, but even more, he's portrayed as a human being, with his own fears for the future of the police force, life in Helsinki, and for his family. All of this is done without ever devolving into something sappy and sentimental. 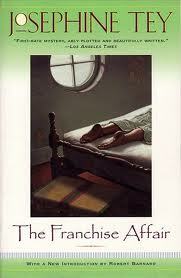 The story is well paced, the plotline is quite good and believable. There were no distractions that made me want to skim, which is something I always look for in any book. Readers of Scandinavian crime fiction will enjoy this, as will anyone who likes a good police procedural. It's definitely difficult to believe that this is Joensuu's first novel.